“Open Road” is one of the many lilting, expressive and lyrically dynamic songs on Drew Kennedy’s most recent album, At Home in the Big Lonesome. 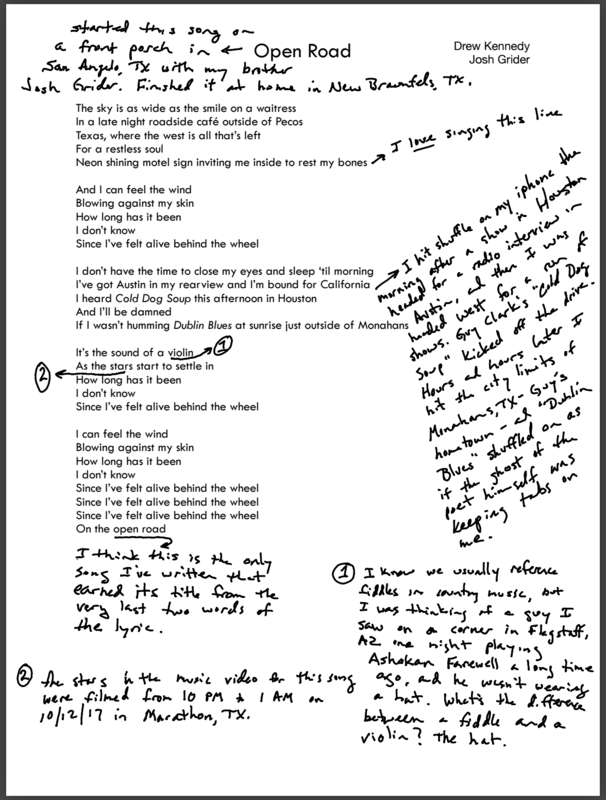 The New Braunfels, TX artist annotated the lyrics to the song for us, presented below. He wrote the song with Josh Grider, and it appears third on the album, which was released in November of last year. Get to know the introspection and humor of the talent in our recent interview.